I bought supplies to make a fake lunchable yesterday, and I was so excited by the prospect of this delicious meal, but it turns out I didn't bring enough food, I guess. 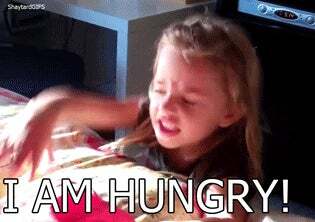 I've been hungry since about 3:30 (it's 4:30 now). I had 2 ounces of cheese (smoked cheddar and colby jack), 3 slices of hard salami and 3 thin slices of ham (it seemed like the same amount I would put on a sandwich, but maybe it would've been a crappy sandwich), 6 triscuits, 5 Ritz, 3 radishes, 6 baby carrots, 2 strawberries and 1 Andes chocolate mint. Mostly I tried to get a serving of each item. If nothing else, it's an adorable lunch in my little blue bento box. I'm not sure if it's not enough food to sustain me, or if I'm just really used to eating a lot for lunch. I think lunch is usually my biggest meal of the day. I'm going to try it again next week and see if I get used to it. And I'm going to resist the urge to stop off at Taco Bell or Jack in the Box when I get off the bus. I have a steak waiting in my refrigerator for me. I'm on my way home, steak. If you have any advice about food, or really anything else, please share.